It is a little disturbing to know that the bacteria in our gut communicates with our brain. (Frankly, it is very amazing that my bacteria can get a word in edge wise .) Although, with all the research, scientist have failed to find bacteria (even the beneficial flora) that communicate test answers, positive affirmations, or sweet nothings to our brains. However, one study showed that cognitive behavioral treatment (CBT) is statistically and clinically effective for treatment of moderate-to-severe functional bowel disorders (including IBS). (http://www.medscape.org/viewarticle/456987) In other words it is possible to work with the mind to kick some nasty GI conditions that may be link to GI flora. Too bad the bacteria can fight back; i.e. Candida loves to convince the brain we could use a little more simple sugars- its favorite food. 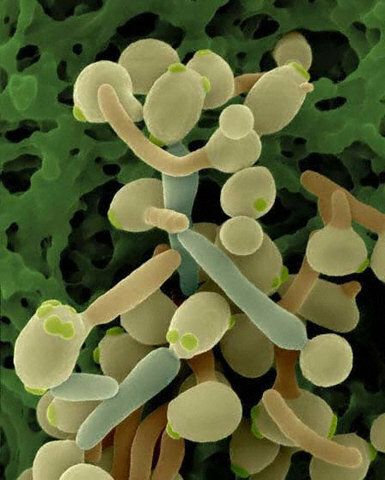 Can we get the brain to be more forceful when telling the candida to get flushed? It seems we may soon know, but as for now studies focus on the links between bacteria and disease, the bacteria’s ability to cause mental changes and the effects of stress of bacteria. For example: a nifty bunch of researchers at Ohio State University found that stress changed the composition of gastrointestinal bacteria, leading to less diverse flora, fewer protective bacteria, and more pathogenic microorganisms (those that cause disease) including Clostridium bacteria. Bailey MT et al. Exposure to a social stressor alters the structure of the intestinal microbiota: implications for stressor-induced immunomodulation. Brain Behavior and Immunity. 2011 Mar; 25(3):397-407. ScienceDaily (Mar. 24, 2011) — A lot of chatter goes on inside each one of us and not all of it happens between our ears. 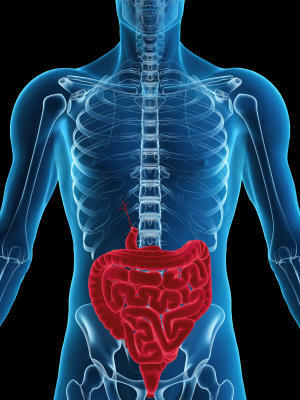 Researchers at McMaster University discovered that the “cross-talk” between bacteria in our gut and our brain plays an important role in the development of psychiatric illness, intestinal diseases and probably other health problems as well including obesity. “The wave of the future is full of opportunity as we think about how microbiota or bacteria influence the brain and how the bi-directional communication of the body and the brain influence metabolic disorders, such as obesity and diabetes,” says Jane Foster, associate professor in the Department of Psychiatry and Behavioural Neurosciences of the Michael G. DeGroote School of Medicine. Using germ-free mice, Foster’s research shows gut bacteria influences how the brain is wired for learning and memory. The research paper has been published in the March issue of the science journal Neurogastroenterology and Motility. The study’s results show that genes linked to learning and memory are altered in germ-free mice and, in particular, they are altered in one of the key brain regions for learning and memory — the hippocampus. “The take-home message is that gut bacteria influences anxiety-like behavior through alterations in the way the brain is wired,” said Foster. Foster’s laboratory is located in the Brain-Body Institute, a joint research initiative of McMaster University and St. Joseph’s Healthcare in Hamilton. The institute was created to advance understanding of the relationship between the brain, nervous system and bodily disorders. “We have a hypothesis in my lab that the state of your immune system and your gut bacteria — which are in constant communication — influences your personality,” Foster said. She said psychiatrists, in particular, are interested in her research because of the problems of side effects with current drug therapy. Previous postIs it “that time of the month” or that chicken nugget? Are there some everyday behaivors one can follow to aid in bacteria working for your gut as opposed to against? What is your take on chiropractic manipulation and your gut? Yes! You can talk nicely to yourself, relax via exercise/meditation/ etc. to reduce stress. Stress effects your cortisol which in turn causes an increase in insulin (later causing insulin resistance) disrupting blood sugar balance. Bad Bacteria loves sugar more than a five year old on Halloween. They can use this sugar to reproduce and out number the good guys; this is what happens when you feed candida too much. You can also include a good probiotic into your routine to promote healthy flora growth. These are only a few of many things you can do. I do believe in Chiropractic manipulation. Structure is vital to good blood flow, nerve conduction, you general body structure and therefore proper function. Just imagine if any nerve supply to your GI is pinched, you will get a reduction in function to the area including the feed back to the brain is hindered. However, you need to make sure you go to a good Chiro! I will post more on physical manipulation/ chiro adjustments in the near future. Keep this in mind: for balanced health we need good structure, good chemical balance (nutrients including minerals and vitamins), and a healthy mind (emotion/ mental health).